User D dropped a tablespace(“DROP TABLESAPCE INCLUDING CONTENTS”) by mistake. They want to recover data resided in that tablespace, but there is no RMAN backup. 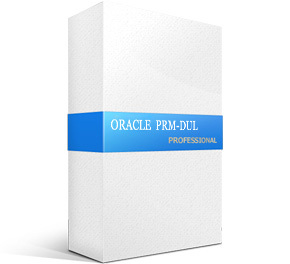 Therefore, we can use PRM-DUL No-Dictionary mode to recover data. In this way, we can extract most data. However, the data is not mapping to the dictionary. Users need to manually recognize the table. Since it changed data dictionary by DROPPING TABLE and deleted objects in OBJ$, we can not have the relationship between DATA_OBJECT_ID and OBJECT_NAME. Below is the instruction of getting mapping. Here, we can use other file recovery tool for data file recovery, for example: Undeleter on Windows. You can find lots of node named OBJXXXXX，this name is combination of “OBJ” and DATA_OBJECT_ID. We need some guy who is familiar with schema design and application data, he can clarify the relationship between data and table. In this case, only user tablespace had been dropped and Oracle still works, and to get the mapping of DATA_OBJECT_ID and table name by FLASHBACK QUERY. Try to use DBA_HIST_SQL_PLAN of AWR and find the mapping between OBJECT# and OBJECT_NAME in recent 7 days. Attention: Since it relies on AWR repository, the mapping table is not that accurate and exact.